A release issued by the Department of Justice (DOJ) alleges the defendants participated in a scheme to steal credit and debit card information through the installation of electronic devices known as “skimmers” inside of gas pumps that were equipped with point of sale terminals. Members of the conspiracy retrieved the financial information by using Bluetooth-equipped devices like cellular phones or tablets. Three of the eight charged remain at large as fugitives, according to the release. Officials have no estimate for the amount of money stolen, according to the release, and the investigation is ongoing. In all, the affadavit in support of the criminal complaint states that skimmers were installed at gas stations in San Gabriel, Burbank, North Hollywood, Van Nuys, Eagle Rock, Beverly Hills, Santa Monica, Torrance, Long Beach, Anaheim, Santa Ana, Tustin, Fountain Valley, the Coachella Valley and Las Vegas, Nevada. After obtaining search warrants in conjunction with the arrest of four individuals, investigators also discovered evidence that those involved in the “skimming” scheme were also actively involved in the manufacturing of counterfeit credit cards. Those arrested will appear in court today in U.S. District Court in downtown Los Angeles. Each is being charged with conspiracy to possess 15 or more unauthorized access devices and each faces a maximum of five years in prison. Nazar Daniyelyan, 47, of Sun Valley, who was arrested. Ruben Karapetyan, 39, of Porter Ranch, who was arrested. 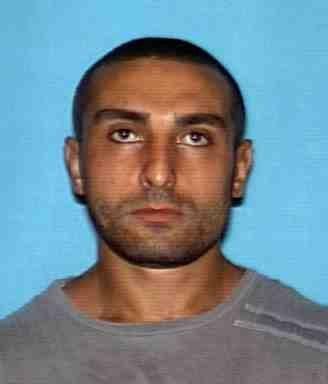 Armen Khalulyan, 30, of Los Angeles, who is a fugitive. Arutyan Oganyan, 41, of North Hollywood, who is a fugitive. Grigor Pambukyan, 26, of Van Nuys, who was arrested. Arsen Terzyan, 32, of Van Nuys, who was arrested. Anthony Tngryan, 26, of Van Nuys, who is a fugitive. 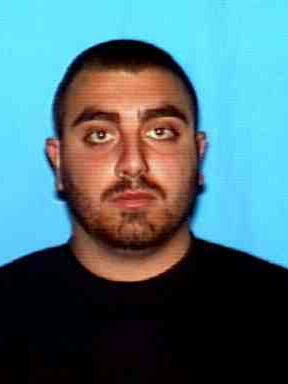 Oganes Tagaryan, 23, of North Hollywood, who is expected to surrender to authorities in the near future. Anyone with information regarding the three fugitives is urged to call Secret Service at 213.533.4400. The case was investigated by the Los Angeles Fraud Task Force (LAFTF), which is an ongoing partnership between the U.S. Secret Service and the Los Angeles Police Department. The Los Angeles County Sheriff’s Department, the Glendale Police Department, the U.S. Marshal’s Fugitive Task Force and the Drug Enforcement Administration assisted in the investigation. Above, left and right: photos of two fugitives, courtesy of the DOJ.